Welcome to Fire Stick Tricks. 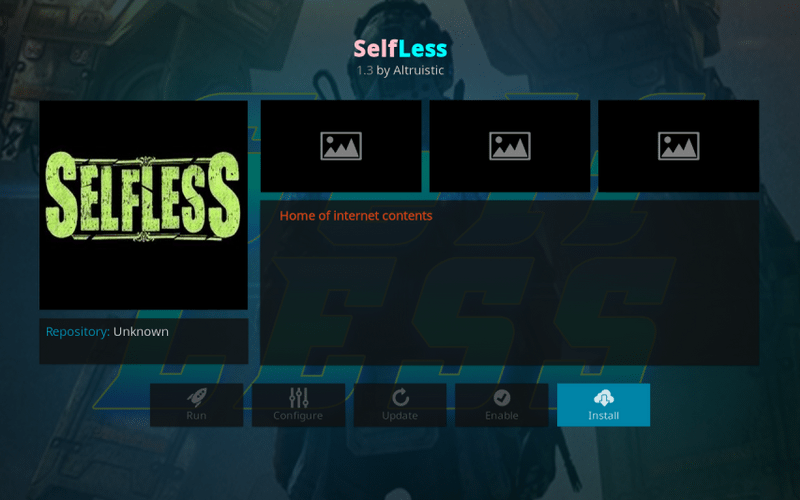 In this guide, I will show you how to install Selfless Addon on Kodi 17.6 in easy steps. 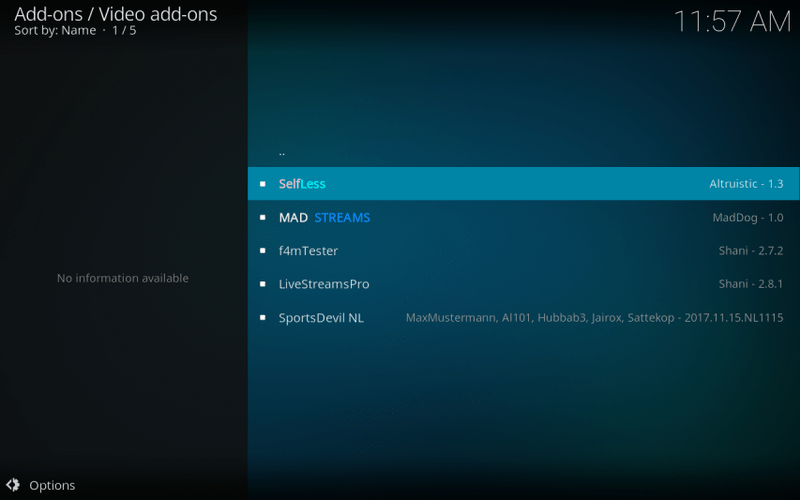 The new Selfless Kodi Addon offers you Live TV, Sports, Movies, and more. Since Kodi interface is same on all devices, you can follow this guide to install Selfless on FireStick, PC, Nvidia Shield, or almost any other device which supports Kodi. Update: Selfless Kodi addon is no longer functional. Please take a look at our list of Best Kodi Addons. Unlike other Kodi Addons which work independently, Selfless Kodi Addon works best when you install SportsDeveil along with it. If you already have Sportsdevil, you are good to install Selfless. However, if you don’t have it yet, I suggest that you get Sportsdevil first. You can follow the steps below to install SportsDevil on Kodi 17.6 Krypton. 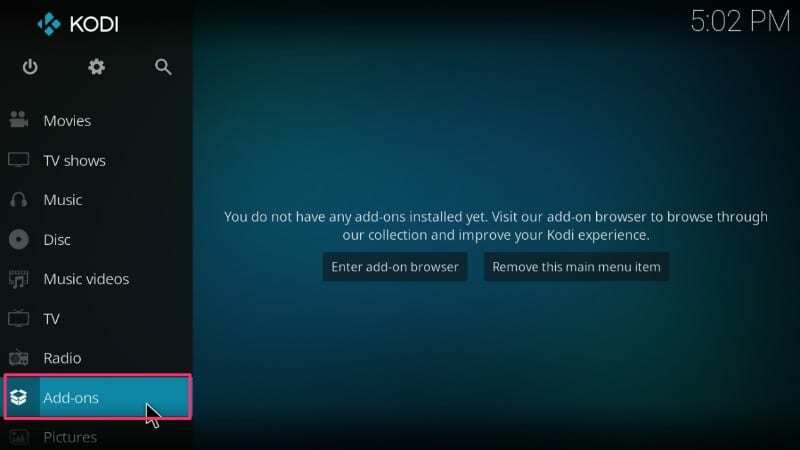 Important – You need to enable “Unknown Sources” for installing any third-party Kodi Addon. You can Turn it on by going to Settings > System Settings > Add-ons > Unknown Sources. Type “Maverick TV” in the Source name field. Click OK.
Back to Kodi homepage and click “Add-ons” menu on the left sidebar. 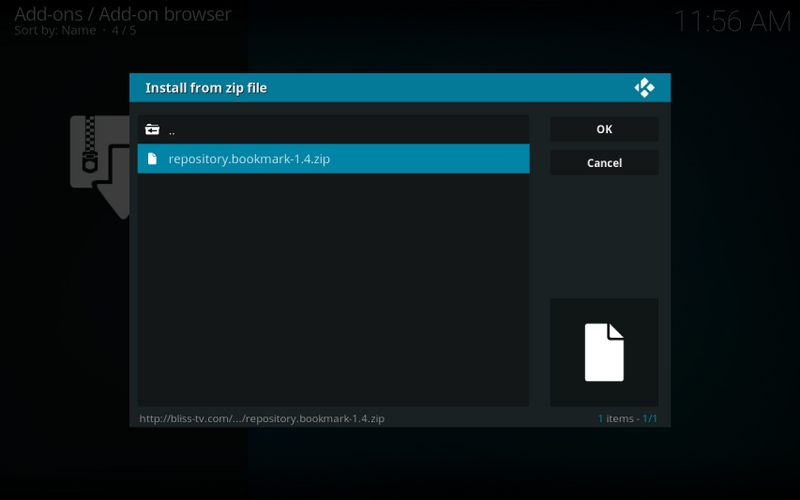 Select “repository.marverickrepo-x.x.zip” and wait for the installation to complete. Open Sportsdevil and click Install. That’s all. Sportsdevil is now installed. Now, we can start installing Selfless Kodi Addon on your device. The steps are similar to Sportsdevil, however, we will be using Bookmark Repo this time. Let’s find out how to install Selfless on Kodi 17.6 Krypton. #1. Open “Settings” from the top left of Kodi home screen. #4. Type “BlissTV” in the source name field (see image below). Verify the URL for correctness and then click OK. 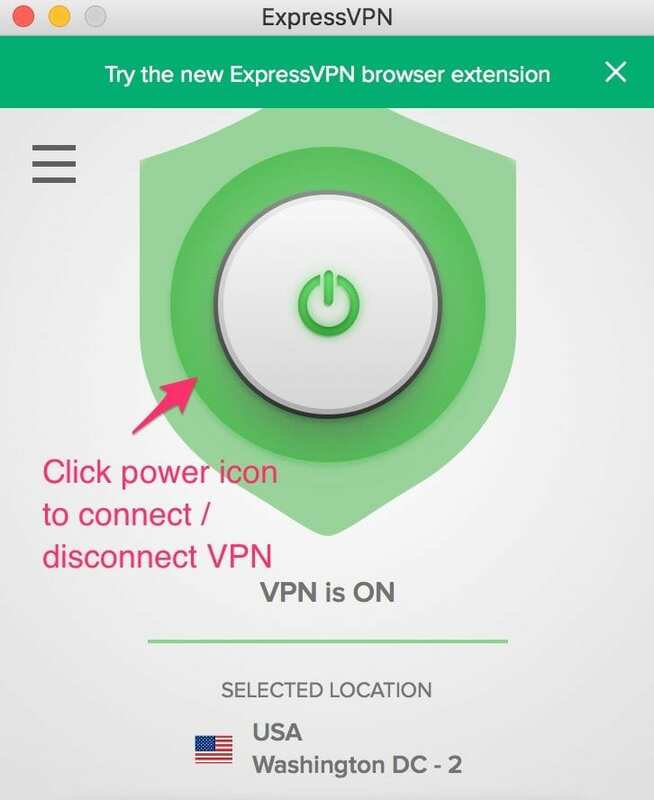 Many users report that Installation failed on their device, so this is the step where we make mistake in typing the URL. #5. 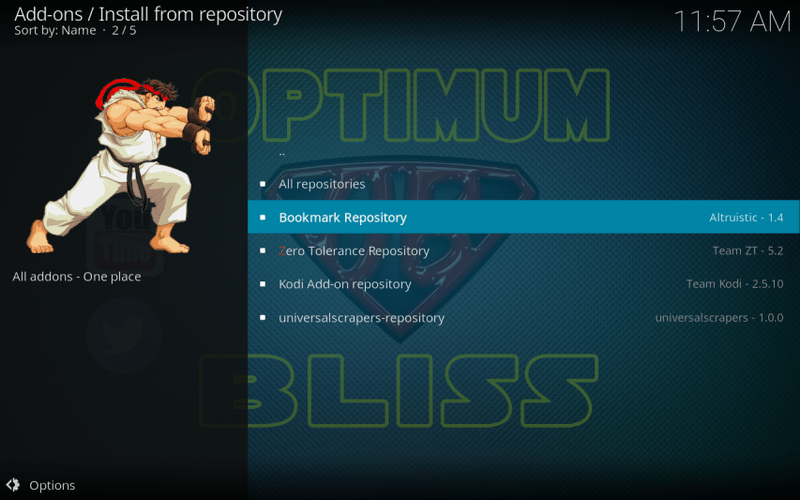 Now go to home page of Kodi and open “Add-ons” menu from the left sidebar. #6. Click Package Installer icon which looks like a box. #8. Select “repository.bookmark-x.x.zip” and wait for some time. When you see “Bookmark Repository Add-on installed” on the top right of your screen, you can go to the next step. #11. Click “Install” button on the bottom right to start the installation of Selfless Kodi Addon. Now that you have installed Selfless IPTV Addon on Kodi 17.6, you can start exploring its different sections by going to Kodi homepage > Add-ons > Video Add-ons > Selfless. There are tons of entertainment sections including Daily IPTV Dose, USA channels, UK channels, Video on Demand, WWE Live, Olympics, and much more. Apart from Selfless, there are many other working Kodi Addons that you can try. I am sharing a few links below for quick access. Hi Ruz, yes the source isn’t working. It was just a few days ago. It could be a temporary issue. Please check back a little later. If the source is permanently down, we will update the guide accordingly. 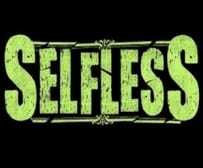 Hey Terry, I checked Selfless addon and you are right. Most channels aren’t working. I hope this is a temporary server issue which should be resolved in a few days. We will have to wait and watch. The dependecy is : Live Stream Pro….. There is in the same repository………Install it….. I decided to reset firestick to default settings. Now SportsDevil install is giving me an error message, check log for information. It shows downloaded. I was able to get Selfless installed but streams are empty and it says SportsDevil required at the top. Any suggestions? Hey Sherrie, there could be many reasons why sportsdevil is not installing. The easiest way is to reinstall Kodi and then install Sportsdevil followed by Selfless.